The Chinese military is getting more and more advanced by the day, according to sources in the intelligence industry. See, for example, China’s new cutting-edge J-20 fighter, a stealth fighter plane that combines Russian engine technology with the F-22 stealth fighter’s body design. If the pictured plane is the J-20, then the Chinese air force may be readying itself for a maiden flight of the plane, which would be China’s first home-grown military airplane. Until now, China has relied mostly on foreign-designed planes. 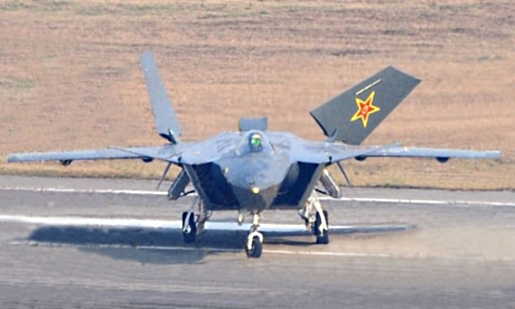 The fifth-generation fighter was photographed on a runway near the Chengdu aircraft design institute. Even more troubling than the J-20 fighter is the DF-21D intermediate-range ballistic missile, which has been dubbed the “carrier killer” by US Navy sources. The missile is designed to thwart US attempts to patrol the South China Sea in the incident of a stand-off between China and US defense partner Taiwan. Combining physical defenses with electronic warfare capability makes China a potent enemy, but the Chinese are downplaying their technological leaps forward, insisting they are no threat to world peace.